How Do I Stay Safe as a Pedestrian in Georgia? Every situation is different, so the steps you should take to keep yourself safe as a pedestrian in Georgia can vary from these suggestions. Be sure to evaluate what you need to do on a case-by-case basis. People going around on foot have little if any physical protection from injury. If something crashes into you when you are out walking, you could sustain severe injuries. Let’s say that a car jumps the curb and hits a walker. The pedestrian could suffer catastrophic or fatal injuries, and the people in the vehicle could come through the accident without a scratch. Drivers of motor vehicles who do not notice people on foot walking along the street, crossing the road, or in a crosswalk. Drivers who leave the roadway and come up into the sidewalk because of a medical emergency, mechanical failure, collision with another vehicle, trying to avoid an accident, inattentiveness, or driving drunk. People riding bicycles, mopeds, or motorcycles. Animals, like stray dogs or pets not wearing a leash. Hazards on the walking surface, like uneven pavement, debris, slick spots, and open utility hole covers. Other pedestrians, including people who are running, riding skateboards, or not looking where they are going. Be vigilant. Put away the cell phone. This is no time to be texting, talking on the phone, taking photos, or playing with apps or games. You cannot take evasive action around a hazard if you are oblivious to it. Be sober. Many pedestrians who get hurt are under the influence of alcohol or other drugs and fall or walk out into the street, where they get hit by a car. Use crosswalks and traffic signals, especially after dark or around dawn or dusk. You are more likely to become an injury statistic during those times. If you have to be on foot then, assume that drivers and other people cannot see you. After you get immediate medical attention, call a personal injury lawyer to protect your right to compensation. We investigate every pedestrian accident injury case we handle. We can collect the evidence we need to build and prove your claim. The insurance company might try some sneaky tactics, like offering you a quick check for a paltry amount that does not begin to cover your losses. That check can be tempting, but it could cost you in the end. If you have not yet completed all of your medical treatment and healed entirely, you do not know if you will need additional medical procedures, like surgery. Once you accept the settlement check, the insurance company will not pay you any more money, even if you have a stack of medical bills from later treatment. Dealing directly with the insurance adjuster so that you do not have to. Protecting you from lowball settlements that can ruin you financially. Gathering the documents like police reports and talking to witnesses. Reviewing settlement documents to make sure that they are fair and reasonable. Medical expenses: for the treatment you needed because of your injuries, including the ambulance, emergency room, surgery, hospital, doctors, diagnostic testing, and physical therapy. Lost wages: to replace income that you lost because of your injuries, including wages, salary, self-employment, and other income. Decreased earning potential: if your injuries cause you to be unable to make as much money as before the accident. Disability: if you cannot maintain employment to support yourself because of the harm you sustained. Long-term care: for people whose catastrophic injuries leave them in need of daily medical treatment and assistance with personal care. Assistive equipment: that you need because of your injuries, for example, crutches, walkers, wheelchairs, home modifications like wheelchair ramps, and adaptive vehicles. Pain and suffering: for the physical discomfort, emotional distress, and inconvenience you experienced because of the accident. We know that the laws about negligence, liability, and damages can be confusing. Do not worry. We will be happy to explain these legal issues and answer your questions. Just call the office of S. Burke Law today at 404-842-7838, and we will line up a free consultation for you. There is no obligation. Because our legal fees come out of the settlement or verdict, there are no upfront legal fees. Yes, a pedestrian hit by a motorcycle can usually file an insurance claim against one or more insurance policies. It can be confusing to try to make sense of several different kinds of insurance policies, but we can navigate through that process so that you do not have to. We deal with insurance companies every day. If the motorcyclist was negligent and caused the wreck, you should be able to make a claim against their liability insurance policy for your damages. The purpose of liability insurance is to pay for the harm that a person causes when their negligence hurts someone else. The pedestrian might be able to make a claim on their own automobile insurance policy if they carry uninsured coverage and the motorcycle rider does not have liability insurance. Another possibility is if the walker has underinsured coverage and the motorcycle rider does not have enough coverage to pay the pedestrian’s losses in full. This insurance can cover amounts that the motorcyclist’s bike liability policy does not pay, or if they do not have liability insurance on their motorcycle. Not everyone buys “umbrella” liability policies, but if the motorcyclist who hit you does have this coverage, it can provide a high level of compensation. If there is no other insurance that can help with your losses, you might be able to get your health insurance to pay for some of your medical bills. 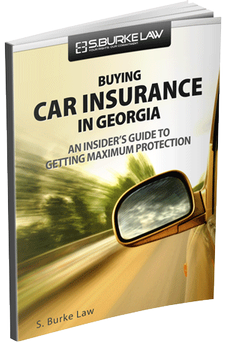 Be aware, however, that many health insurance policies specifically exclude coverage for motor vehicle accidents. You cannot file a claim against someone’s insurance merely because they were in an accident with you. We must prove that the person is responsible for your injuries before we can pursue damages. Duty of care: The motorcycle rider must have owed the pedestrian a duty of care. This factor is easy since every driver of a motor vehicle has a responsibility to obey the law and operate their car, truck, or motorcycle with caution. Breach of the duty: If the motorcycle rider does not live up to the legal duty of care, they are negligent. Let’s say that the motorcycle rider’s blood alcohol level was over the legal limit. Breaking the law that prohibits driving while under the influence of alcohol is negligence. Causation: Their negligence must have caused the accident that injured the pedestrian. Because of their intoxication, the motorcycle rider lost control of their bike, running off the road and onto the sidewalk, where they struck the walker. This fact pattern satisfies the causation element of liability. Actual harm: The pedestrian must have suffered damages to file an insurance claim for the wreck. This can include medical bills, lost wages, etc. Lost wages: These damages compensate you for wages, salary, self-employment, and other income that you lost because of the wreck and recuperation. Diminished earning capacity: You may entitled to compensation if you cannot make as much money as before because of your injuries. Disability: In the event that your injuries leave you unable to support yourself through gainful employment. Medical expenses: All of the reasonable and necessary medical bills you incurred because of the collision. These costs can include things like the ambulance fees, emergency room, hospital, diagnostic testing, x-rays, surgery, doctors, prescription drugs, and physical therapy. Ongoing or future medical care: For situations in which you will need additional or continuing medical services because of your injuries. Long-term care: In a case involving devastating injuries, you might need daily assistance with medical treatments and personal care. Pain and suffering: This category honors the physical discomfort and emotional distress you endured. Loss of enjoyment of life: If your injuries make you unable to engage in activities that brought you joy before the accident, like walking or hiking, you might experience loss of enjoyment of life. Disfigurement: This type of damage applies when the injuries caused significant scars or other disfigurement. Every case is unique, but it can be complicated for a pedestrian hit by a motorcycle to file an insurance claim after a motorcycle hits you. The multiple possibilities of insurance coverage that could apply to your losses can be overwhelming. You do not have to sort through all of those issues on your own. Just call S. Burke Law, and we will be happy to talk with you about your claim at no charge to you. Call us today at 404-842-7838 for your free consultation. We do not charge legal fees until you win. How Long Will My Motorcycle Case Take? There are several medical facets to your injury, and each one can either speed up or slow down the pace of your case. The severity and complexity of your injuries can determine how much time it will take until you are back on your feet. You should never settle an injury claim before you finish all of the medical treatments and therapy and achieve the maximum level of healing that your doctor expects you to have. Accepting a settlement before that point exposes you to significant financial risk. Let’s say that you break a bone in your back in a motorcycle accident. Your doctor puts you on eight weeks of bed rest. After two months of physical therapy, your doctor decides that you need back surgery. If you have already accepted a settlement, you would have to pay for the surgery out-of-pocket. You will not get any more money from the insurance company, even if the operation does not go well and you can no longer perform your job. Some medical treatments require a longer recuperation time than others. For example, if you need surgery and then physical therapy for your injury, your case will take longer than if you required only stitches and a few days of rest. Also, your age and general health can affect how long it takes for you to recuperate. In some situations, your doctor might have to perform an initial medical intervention, and then wait and see what you need to have done at that point. If you sustained significant injuries or experienced complications, you might have to undergo additional procedures. This situation can push your case back by months or longer. If you settle your motorcycle case, it will likely be completed more quickly than if you go to trial. If the insurance company gives you the compensation you deserve, you can settle and get your money. 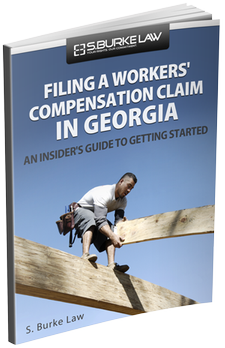 If the insurance company refuses to give you a fair settlement, you can file a lawsuit. Once your lawyer files the lawsuit, both sides start searching for evidence to prove their cases and to discredit the other side’s arguments. We use interrogatories (written questions) and depositions (questions the lawyers ask in person with a court reporter present) as part of our pretrial discovery. We also gather and exchange documents like medical records and police accident reports. The discovery stage of the lawsuit typically takes a few months or longer. If we need to hire an expert witness for your case, doing so will add time and expense to the lawsuit, but since experts testify about critical issues, they can be worth it. If there is an appeal, your case can go on for another year or two after the trial. Either side (the insurance company or you) can file an appeal if they disagree with the trial court decision. The S. Burke Law team will fight to get you a fair motorcycle accident settlement as quickly as possible. Call 404-842-7838 today for a free consultation regarding your motorcycle case. What Constitutes Pain and Suffering? Pain and suffering are things that fit into the category of “non-economic damages” in personal injury cases. These losses do not always have a bill, receipt, or other documentation that measure the loss in terms of dollars. These damages are, nonetheless, legitimate losses for which injury victims should receive compensation. At S. Burke Law, we work hard to show the court the extent and value of your economic and non-economic damages, including pain and suffering. Usually, you must sustain a physical injury to be eligible for non-economic damages. The term “pain and suffering” encompasses both your physical pain and your psychological suffering. Scar tissue pain from significant burns and other injuries. Terror at the time of the injury. For example, you were stopped in a traffic jam and saw that the tractor-trailer behind you was not slowing down. You had to sit there and watch the massive truck crash into you. Fright and worry over whether you would live through the accident. Stress in the ambulance and emergency room about how severe your injuries would be, whether you would be able to continue working to support yourself and your family and whether the injuries would be debilitating. Worry about whether, for example, you would be able to walk again, live independently, and engage in the activities that you enjoy. Physical and mental exhaustion during the recuperation process. Recuperating from a significant injury can drain your energy. Financial stress from missing wages while you are in the hospital, rehabilitation center, or at home recovering from your injuries. While you are hurting and trying to heal, you are also stressing over whether you will have the money to buy groceries, pay the electric bill, or your medication. Without a paycheck, you might get evicted from your home. Inconvenience the injury created. For example, having to drive to physical therapy two or three times a week for several months can take away a significant portion of those days, impeding your ability to work and take care of your family. Sadness if, for example, you missed attending your child’s graduation or some other significant event because of the injury. You can experience grief from the loss of experiences and time that you can never get back. Depression about things like your immediate physical condition, ongoing pain, decreased quality of life, and financial losses from the injury. Sleep disturbances like insomnia or nightmares can follow an injury. Disfigurement from your injuries, such as scar tissue from burns and lacerations. Loss of enjoyment of life. If you can no longer do things that you enjoyed before the accident, like walking or hiking, you have sustained a loss of enjoyment of life. People with life-changing injuries like paralysis, head trauma, and loss of vision often experience this condition. Anger over your injuries and how they have impacted your life. Humiliation, particularly if you experience disfigurement that causes others to stare at you. Post-traumatic Stress Disorder (PTSD). Panic attacks, uncontrollable outbursts, insomnia, anxiety, depression, fear, and personality changes can linger for years after an injury. For example, some people cannot ride in a vehicle again after a car accident that involved severe or fatal injuries. They might have panic attacks at the very thought of getting back into a car. The economic consequences of PTSD can be significant since many people with this condition have difficulty maintaining employment. Relationships can deteriorate because of PTSD. It can be challenging to live with someone who suffers from this condition. PTSD can lead to divorce and the loss of lifelong friendships. Other emotional distress. Mood swings, irritability, and loss of control of one’s emotions are but a few examples of how a personal injury can cause you emotional distress. We can use your medical records and the accident report to show the extent of your injuries and all the medical treatment you had to endure because of the injury. Your doctor’s file should indicate whether you complained of pain, depression, anxiety, insomnia, or other aspects of pain and suffering. Records from your treating health care professional will help to document your emotional distress. Sometimes people close to you, like your family, friends, and co-workers can provide additional evidence of how the injury has affected you. A phone call to S. Burke Law is all that it takes to get things started on your personal injury claim. Call us today at 404-842-7838, to line up your free consultation. We will explain your legal rights and evaluate your economic and non-economic damages, like pain and suffering. We do not charge legal fees until you win. What is Loss of Society? Loss of society is a non-economic loss for which the loved ones of a victim in a personal injury or wrongful death lawsuit can seek compensation. When your spouse or parent suffers significant injuries or dies, you also experience a loss. That person is not available to be with you in the same way as before. “Loss of society and companionship” is not the same as “loss of consortium.” A surviving spouse can seek compensation for both types of loss. Loss of society is available to surviving spouses and other close family members. These damages honor the fact that the wrongful or negligent act of someone took away the love, care, affection, guidance, and protection they used to receive from their catastrophically injured or deceased loved one. Comatose victim in a personal injury lawsuit. The victim survived the car crash but sustained severe head trauma, leaving him comatose and on long-term life support. He can no longer take the kids to school, play with them, attend their school events, nurture or raise them. His wife faces an uncertain number of years without her closest companion. His surviving spouse and children have, in most meanings of the term, lost their dad, even though his body is not yet dead. They have lost his society and companionship. In wrongful death cases, it is a straightforward matter to establish the loss of society of your deceased loved one. 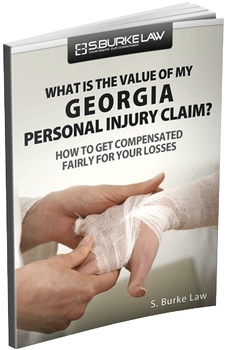 Georgia law provides for damages for the “full value of the life” of the person who died as a result of someone’s negligent or wrongful act. The full value of the life can include such things as the economic support, services, consortium, society, and companionship that the deceased person provided to the family. The “society and companionship” aspect of these damages can cover such things as advice, guidance, protection, care, and assistance. The defendant had a legal duty toward your loved one. For example, the defendant was driving the vehicle that crashed into your loved one. Like all drivers, the defendant had an obligation to drive his car in a careful manner and observe the laws and rules of the road. The defendant breached his legal duty. The defendant was driving while under the influence of alcohol. His blood alcohol content (BAC) exceeded the legal limit in Georgia. By breaking the law about driving while impaired, the defendant violated his legal obligations. Failing to meet the standard of care is negligence. The negligence caused the injury. Because of his intoxication, the defendant lost control of his vehicle and struck the victim, causing his severe or fatal injuries. The defendant is responsible for the personal injuries or wrongful death of the victim. When you have lost the society and companionship of a loved one, it means that your spouse or a close relative has suffered a devastating injury or death. In times like this, the last thing you need is to have to deal with things like figuring out your legal rights and what you should do. At S. Burke Law, we understand. We can take these burdens off of your back so that you can focus on rebuilding your life.